Hilton Herbs Hepaphyt De-Tox Cleansing Formula is given to help promote a healthy liver and kidneys as well as encourage a healthy digestive system. It is most likely to be of benefit to horses which are stabled, or have restricted access to natural, varied pasture. It is also recommended to be given at the same time as worming preparations. The Herbal De Tox mix to help support your horses liver, kidney and digestion and maintain healthy liver and kidney function. conjunction with your worming programme. our Top Coat product for helping maintain healthy coat and skin condition. Ingredients - Milk Thistle seed, Dandelion root, Burdock root, Cleaver herb, Nettle leaf, Liquorice root, Dandelion leaf. 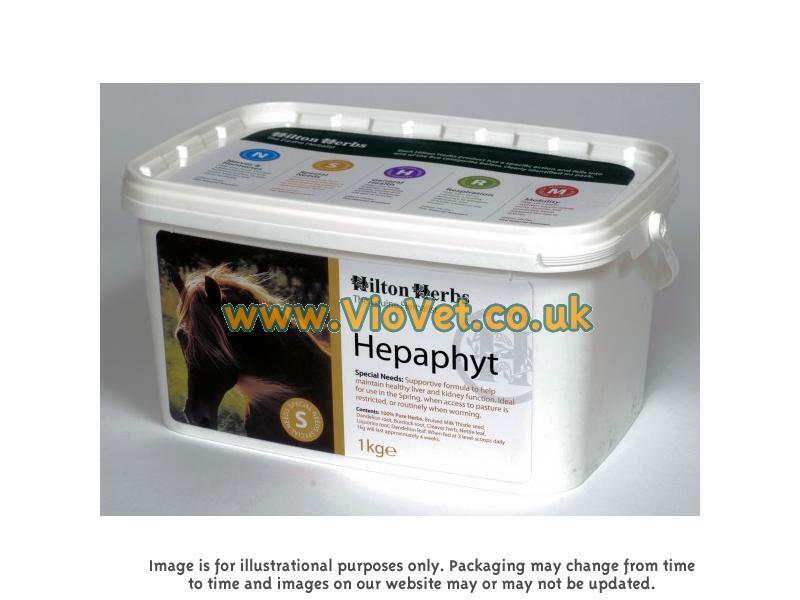 There are currently no questions for Hilton Herbs Hepaphyt De-Tox Cleansing Formula for Horses - be the first to ask one!